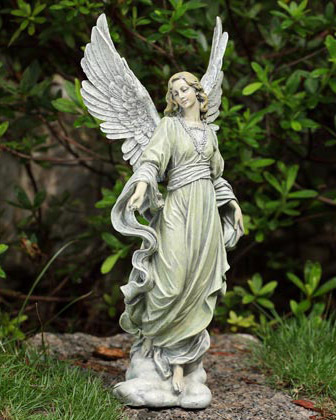 Our graceful Angel from Heaven statue is shown here amidst clouds as if she is stepping off from the heavens and making a worldly descent into the kingdom of man. She comes with stretched wings and exquisitely detailed and hand finished in pastel colors. Made of resin.